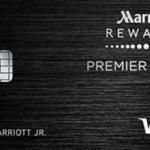 Marriott Rewards Premier Plus Credit Card Worth It? If you are looking for a hotel credit card, this card can be one of the best options for you with bonus and rewards options. 6 x rewards points on purchases from Marriott and SPG Hotels is good opportunity. There are many good promotions on the card. You can check Marriott Rewards website to see all of those opportunities. One night free stay opportunity with the credit card. 2x rewards to all other purchase categories is very good. High fees and interest rates. Especially minimum interest rate is too much for excellent credit score. 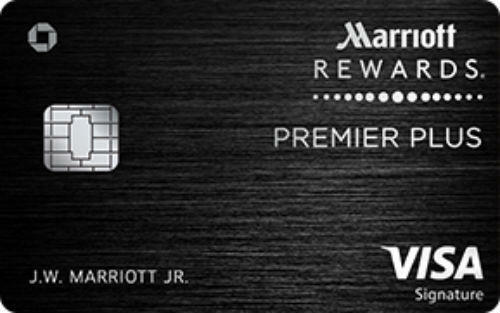 Marriott Rewards Premier Plus Credit Card is a product of Marriott Hotels and Chase. The card is providing good benefits with sign up bonuses and rewards opportunities. Especially 6x rewards on SPG hotels (Starwood Preferred Guest Hotels) and Marriott Hotels purchases is a good opportunity. Of course if you are purchase these hotels regularly. You will also earn 2x rewards points per $1. Besides there is a free one night hotel stay with the card. As same as many other rewards cards, it depends on your needs. Sometimes a low APR card can be more profitable for you. 75000 sign-up rewards points bonus is a good opportunity. It is also very easy to earn this bonus in 3 months with $3000 worth purchase. This is only one time offer of the company per individual. You can’t use this promotion again (if you even apply for another card), once you use it. 6x on purchases for SPG hotels and Marriott Hotels is another good opportunity. However you will need to ask yourself that how often you are purchasing from hotels. If it is just once or a few times in a year, you can also find many other useful cards which is not focused on a purchase category. However if you also plan an awesome vacation, this card can help you to save money a little bit. You are going to get 2x rewards points on all purchases. You are not also pay extras for foreign transactions. If you are sure that you need a hotel credit card for a vacation, we certainly recommend this credit card to you. We recommend you to check https://www.marriott.com/ first to learn more about how you can use your rewards and what kind of good promotions awaiting you. You can see rates of Marriott Rewards Premier Plus Credit Card below. There are also editor scores. 17.99% – 24.99% 6x on purchases from Marriott and SPG Hotels. 2x on all other purchases. 75000 bonus when you spend $3000 in first three months. One night free hotel stay. See user reviews below for Marriott Rewards Premier Plus Credit Card. You can also add your own thoughts.